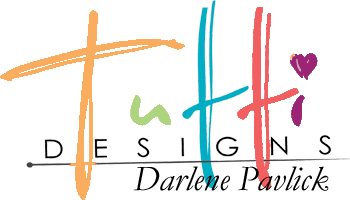 Tutti Designs: Flowers for You! Stitched Nesting dies available at Tutti Designs. Just type Stitched into the Search function to see all that are available. both green card stock and red/white polka dot designer paper. shaped flowers are ready to make you smile! called out to me to be paired with this pretty floral tag. A touch of ribbon and VIOLA! Beautiful tag, Darlene! I love this color combo and the stitched dies from TD are some of my all time favorites!